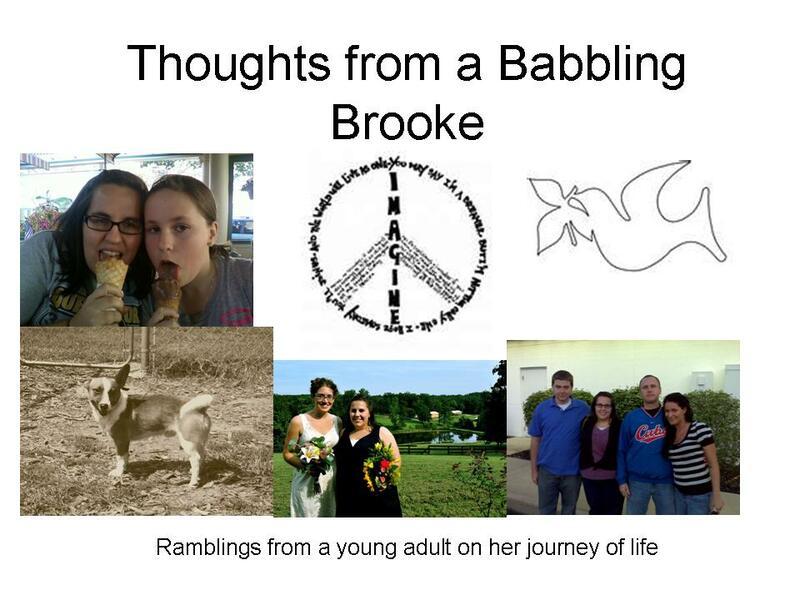 Thoughts from a Babbling Brooke: Is God a community member? Last night at my Graduate bible study we were discussing what Jesus' sacrifice means to us. We all had different ideas and also had many that overlapped each other. It was nice to spend that time reflecting on what Jesus' sacrifice means to us on a personal level. In many ways that is what Lent is all about. During our study of sacrifice throughout the bible we have come across multiple times the reference to the idea that during the Old Testament sacrifice was always about repairing and maintaining community and personal relationships within the community (which included God as a community member). I posed the question last night on whether we had included God as a community member in our community. It's a hard question to answer because you feel like you should say yes, because we worship because of God and to praise him, right? But do we truly include him as a community member? And also are we creating a community that God would approve of? I think during this season of Lent we are to really look deeply into ourselves and also into our communities to see if we are truly letting God in. Some of the things that I said that Jesus' sacrifice means to me was that idea of unconditional and ultimate love for his children, an ultimate act of love for the community, freedom to live, and many more. But as we approach Holy Week in the weeks to come, I urge you to reflect on what Jesus' sacrifice means to you. Also ask that question of whether you are including God as a community member in your community? The below quote is one of my favorites, I think this would be a community God would approve of.